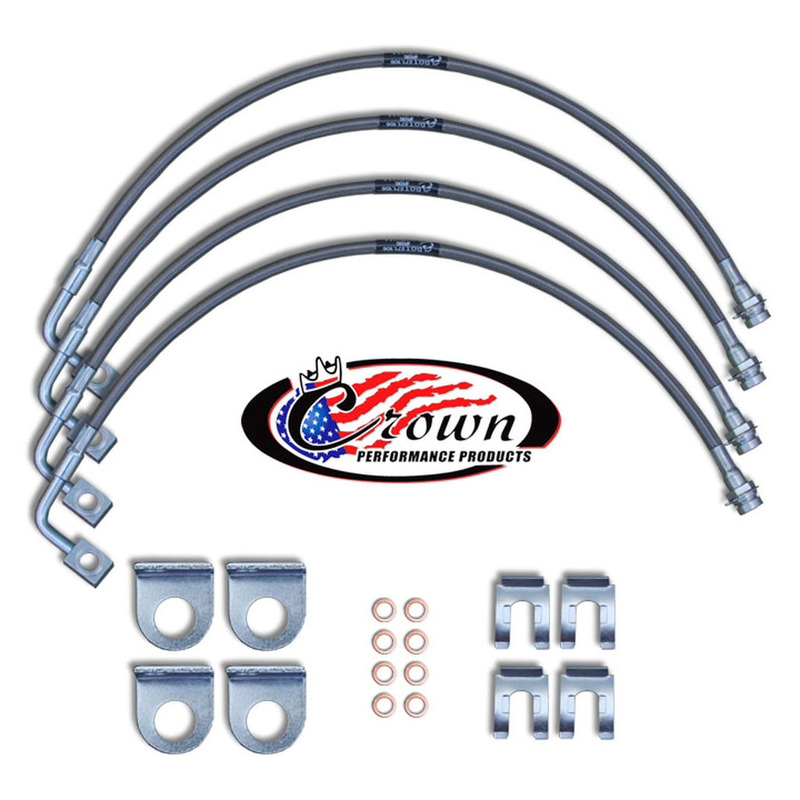 Crown Performance Jeep brake lines are perfect fit for anyone who is looking to replace worn out brake lines or want to increase braking power. 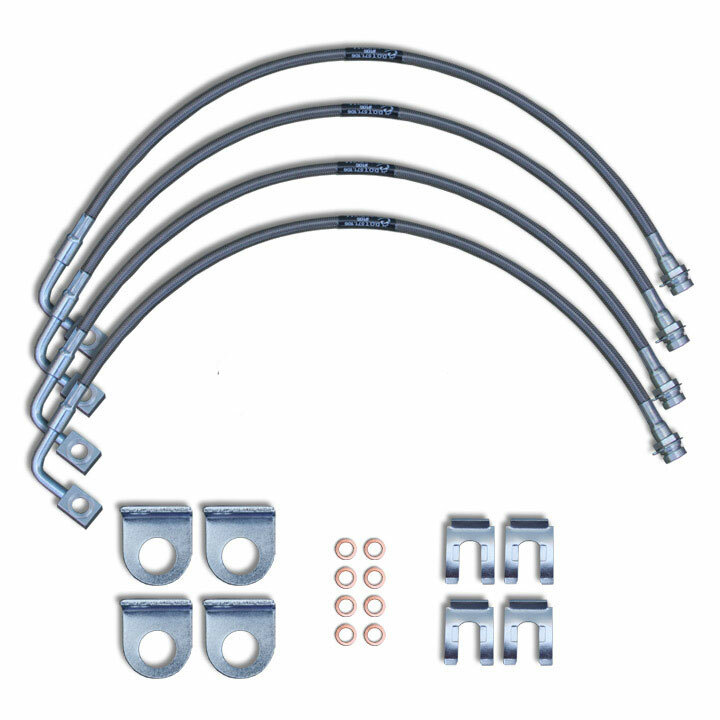 Industry experts also recommend to check and replacement major brake components at least once a year. 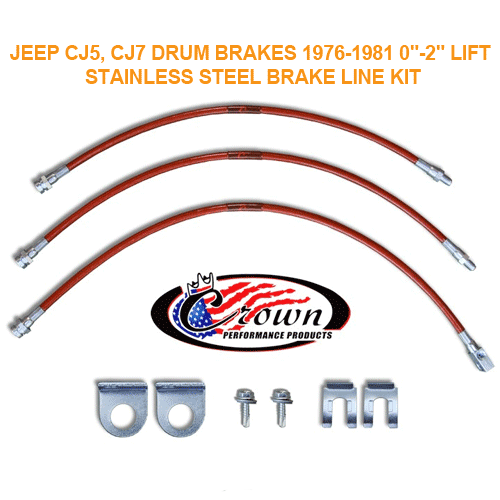 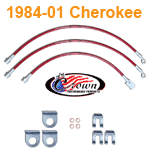 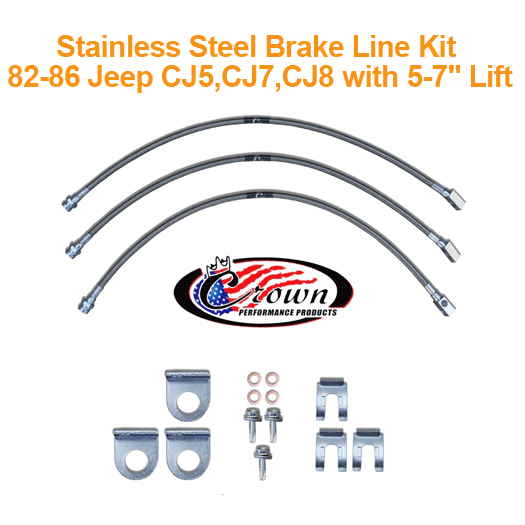 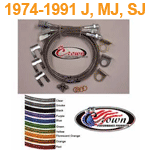 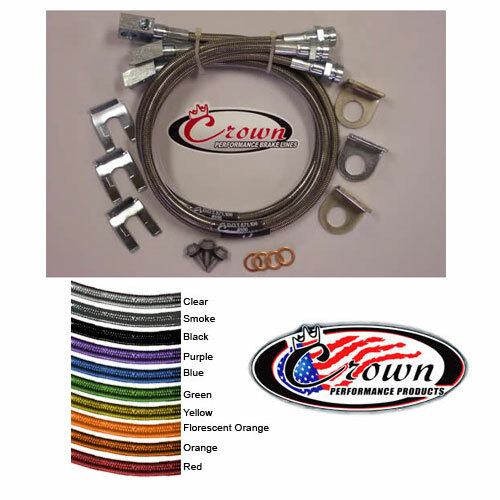 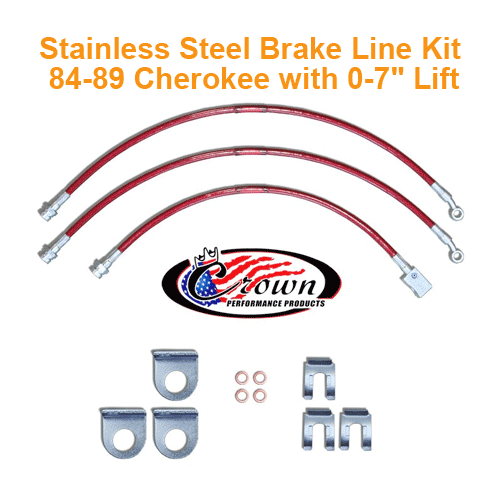 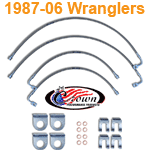 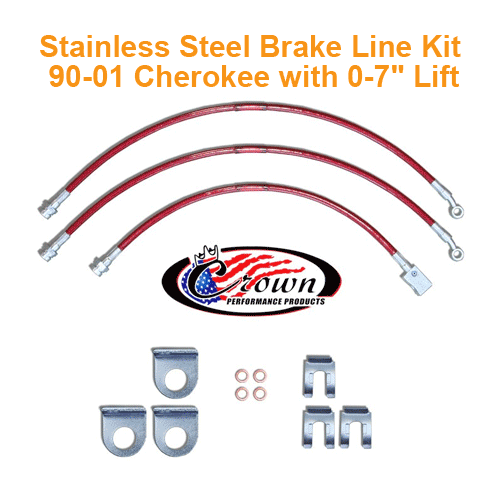 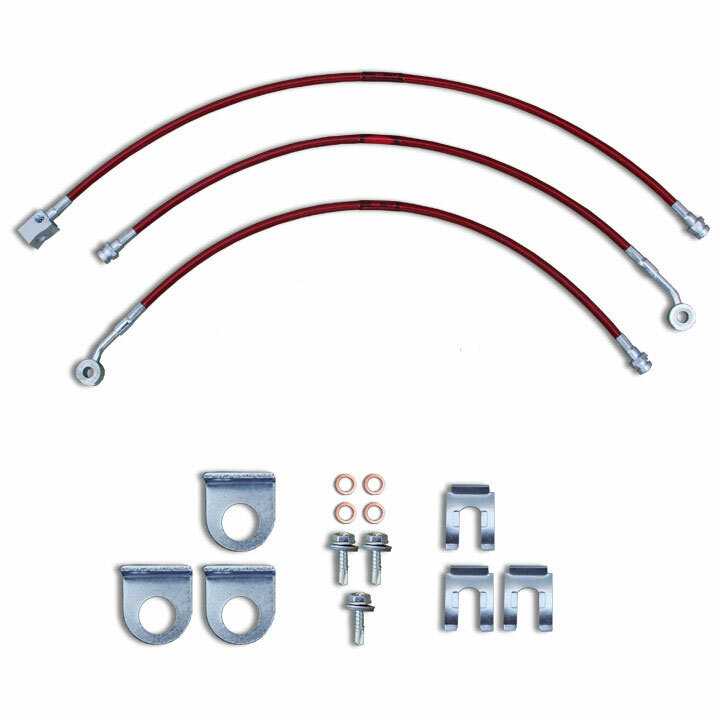 So lets improve Jeep braking power with these custom 5 Layer stainless steel brake lines from Crown Performance. 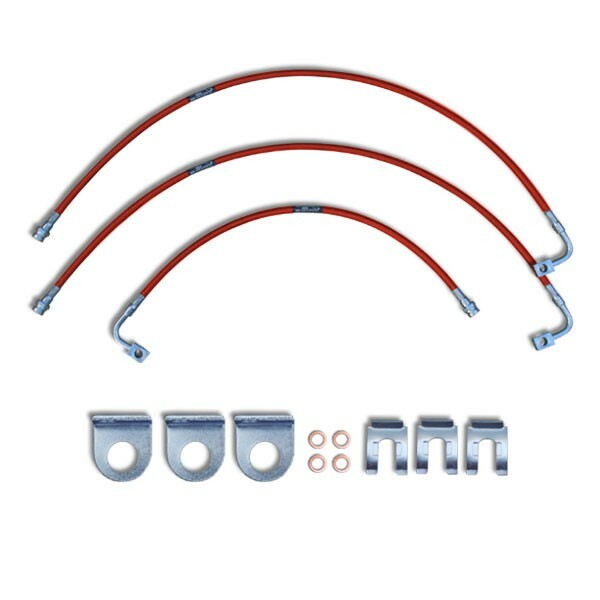 These Custom Extended Brake lines are available in several color options and in varying lengths from 0"-2", 3", 4", and 6" over stock lengths so you are sure to be able to find the option best suited to your needs. 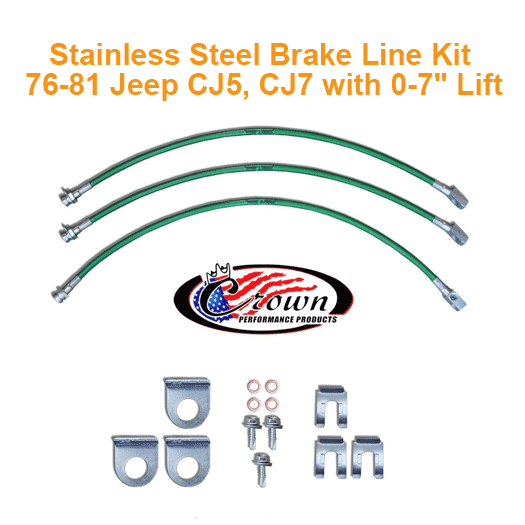 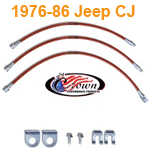 These Jeep brake lines can also enhance brake pedal response. 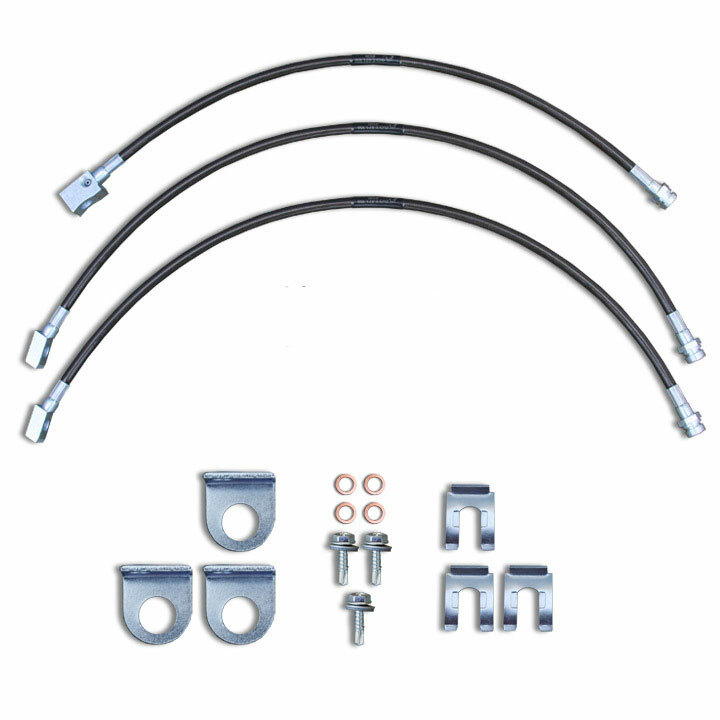 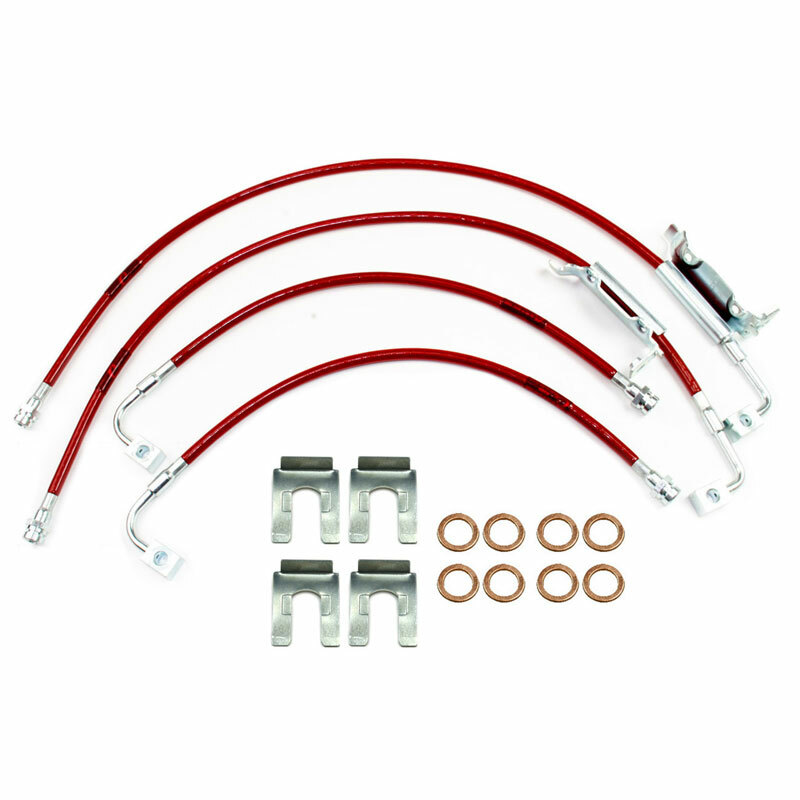 These direct OE replacement brake lines are super easy to install. 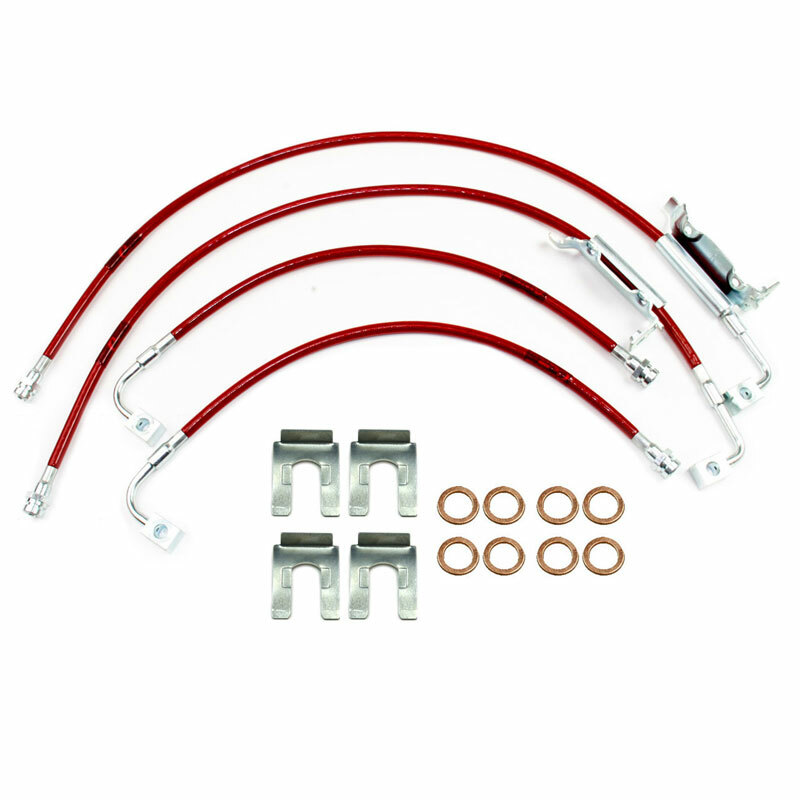 There are even replacement emergency brake cables available to make sure you have everything you need for the road ahead.